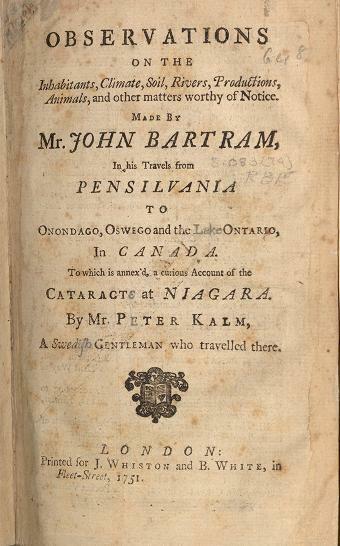 John Bartram was born in Marple, Pennsylvania in 1699. Although he received limited formal education, he eventually distinguished himself as one of the leading botanists of his day. Through an early and intense interest in botany, he collected rare and useful plants and seeds throughout the colonies which he provided to the gentlemen of Europe, an opportunity which arose from his close friendship with the English botanist, Peter Collinson. He also established one of the finest botanic gardens of the colonial period in Kingsessing (now part of the park system in south Philadelphia). He grew dozens of species of trees, shrubs, and other plants collected on his travels. 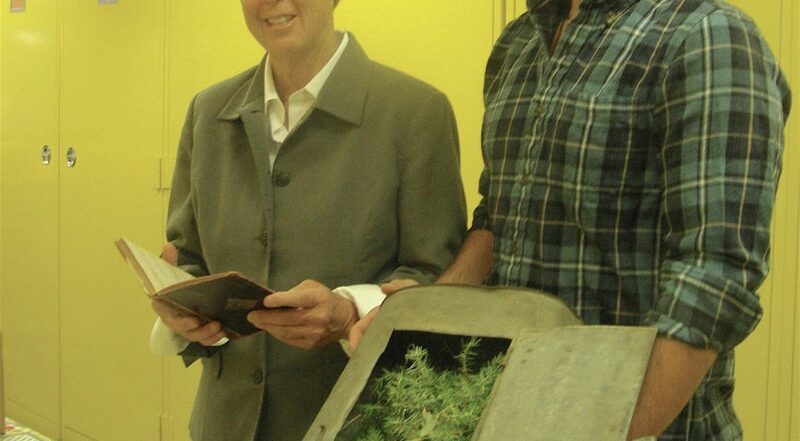 He even experimented with breeding and selection of cultivars to meet a demand abroad for exotic plants. In 1872, the Royal Society of London launched the first non-commercial exploration of the deep sea – the Challenger Expedition. 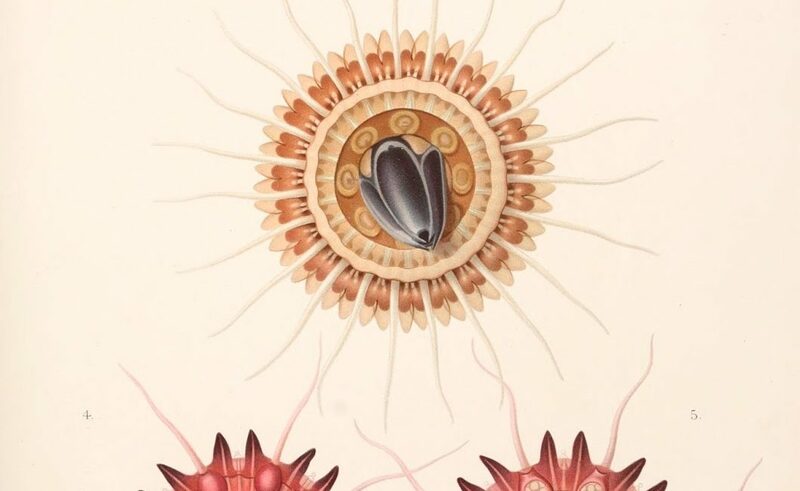 Covering nearly 70,000 nautical miles and resulting in the discovery of nearly 4,700 new-to-science species of marine life, the expedition revolutionized knowledge of the ocean and the field of oceanography. It also ignited an interest in deep-sea dredging as a means of scientific discovery. Carl Chun, a German zoologist, was particularly inspired by the Challenger‘s discoveries. Celebrating Careers in Libraries and Museum Day Live! This Saturday, 12 March, the Smithsonian is coordinating a special edition of its signature Museum Day Live! Yellowstone National Park is famous worldwide for its vast forests, abundance of wildlife – including a wide variety of North American megafauna, and its natural landmarks like Old Faithful Geyser. The Park, which spans over 3,400 square miles, was established by Congress and signed into law by President Ulysses S. Grant in 1872, making it the first national park ever established. In addition to over 350 species of animals, over 1,000 plant species call the park home. The first actual flora of the park was published in 1886 by a man named Frank Tweedy. Tweedy was a topographical engineer born in New York City in 1854. Between 1884-85, Tweedy was in Yellowstone mapping the topography of the park for a project with the U.S. Geological Survey. March is Women’s History Month, a month dedicated to celebrating the contributions of women to events in history and contemporary society. In recognition of this celebration, the Smithsonian is coordinating a special edition of its signature Museum Day Live!